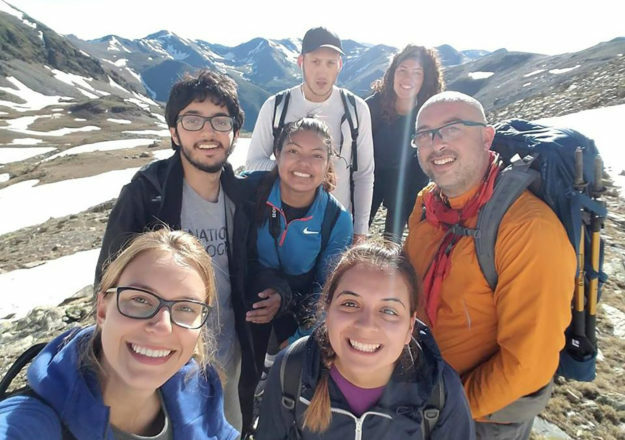 A group of AHS students and KN faculty member John Coumbe-Lilley hike up Pujimal as part of the Barcelona 2018 Study Abroad Program. 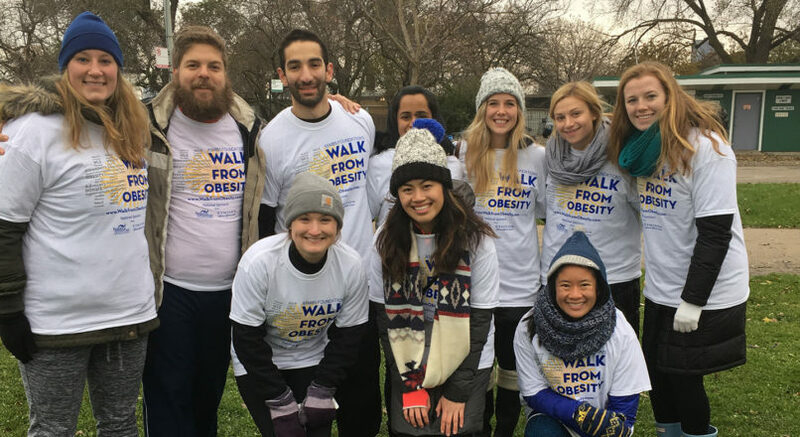 DPT students and PT adjunct clinical instructor Rich Severin (second from left) pose for a group picture after providing a great warm-up routine for 2017 Chicago Walk from Obesity walkathon participants. 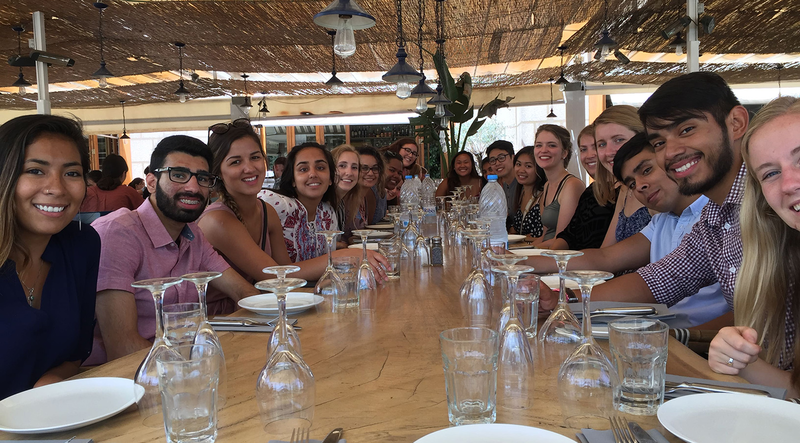 "AHS Study Abroad 2017: Barcelona" kinesiology, nutrition and rehabilitation sciences student participants enjoy a final meal before returning home. 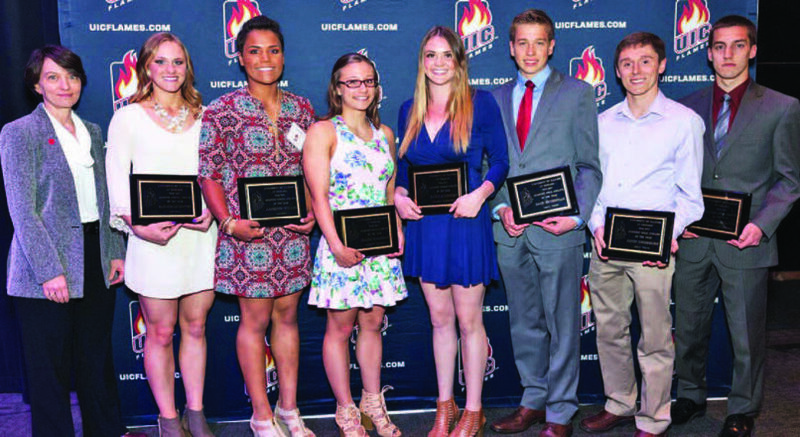 Provost Susan Poser with student-athletes who achieved a 4.0 GPA for the past three semesters: (from left) Savannah Soppet, Jasmine Willis, Claire Haggerty, Riley Mahoney, Zach Sczesniak, Kevin Ziegenhorn and Alex Bashqawi.  OT students (from left to right: Shikha Bansal, Amy Early, OT department head and professor Yolanda Suarez Balcazar, Dalmina Arias, Korynna Pepin and Amalia Zeidman) participate in the 21st annual Día del Niño Health Walk and Family Festival. 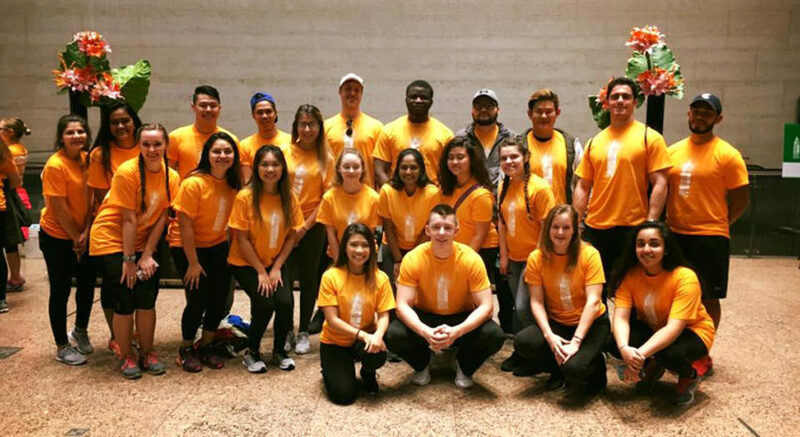 Pre-PT club members volunteered at the RIC SkyRise event in November from 5 a.m. to 1 p.m.—that's what we call dedication! 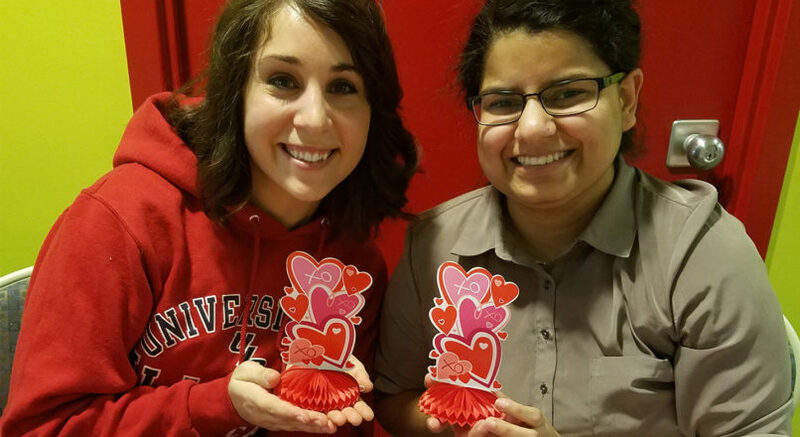 Nutrition students Renee Jeffrey and Urooj Riaz sell baked goods during Student Nutrition Association's Valentine's Day bake sale. 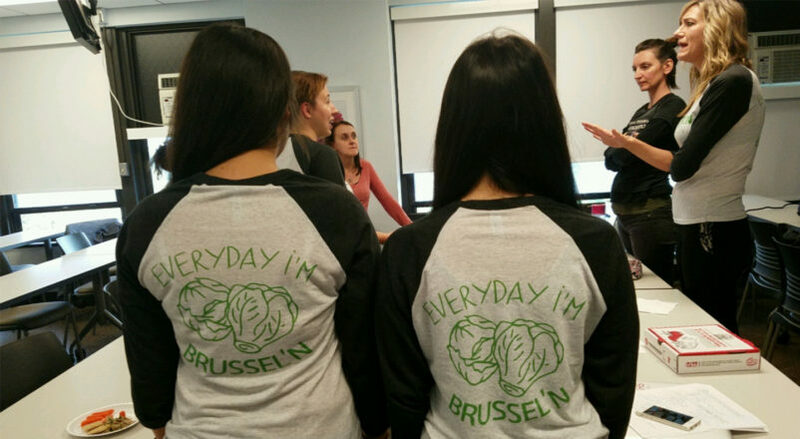 Nutrition students Barbara Bilski and Sumar Kullab showoff their Student Nutrition Association at UIC t-shirts.